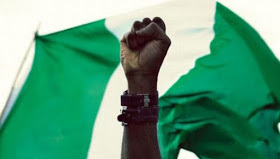 Nigeria has been classified as the 16th least peaceful country in the world, according to the 2018 edition of the Global Peace Index, GPI. The report, published yesterday, classified Nigeria 148 out of the total of 163 countries surveyed. Iceland is the most peaceful country, followed closely by New Zealand and Austria, while Syria occupies the least peaceful place, after Afghanistan and South Sudan, respectively.